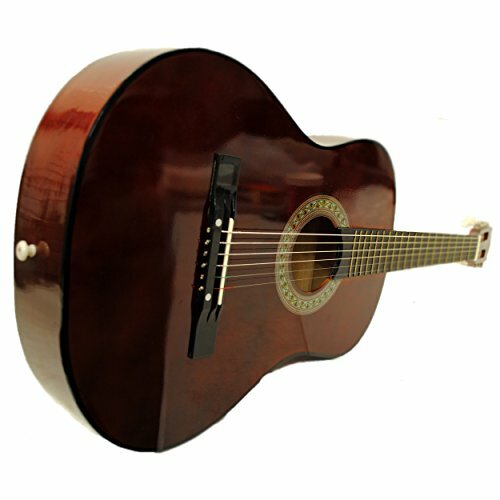 What an amazing deal on a small-bodied starter acoustic guitar! Its smaller profile (7/8" scale) makes it very playable for kids or aspiring guitarists with smaller body frames and hands. The performer kit gives you everything you need to take your guitar on the road including a gig bag, extra guitar picks, a tuner, strap & an extra E string.